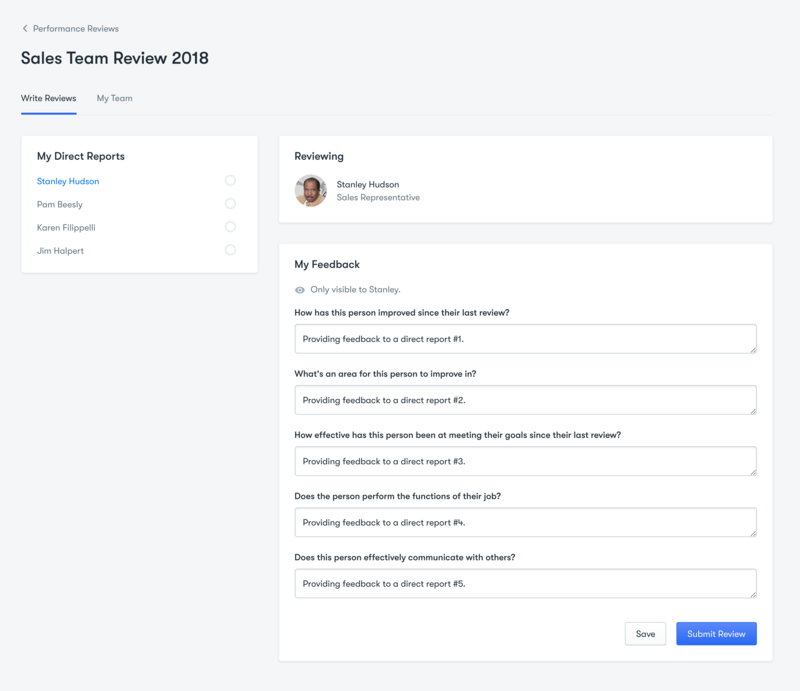 When a manager is part of the Review and is required to provide feedback about one of their direct reports, they will see feedback questionnaire available to them under the Performance module. 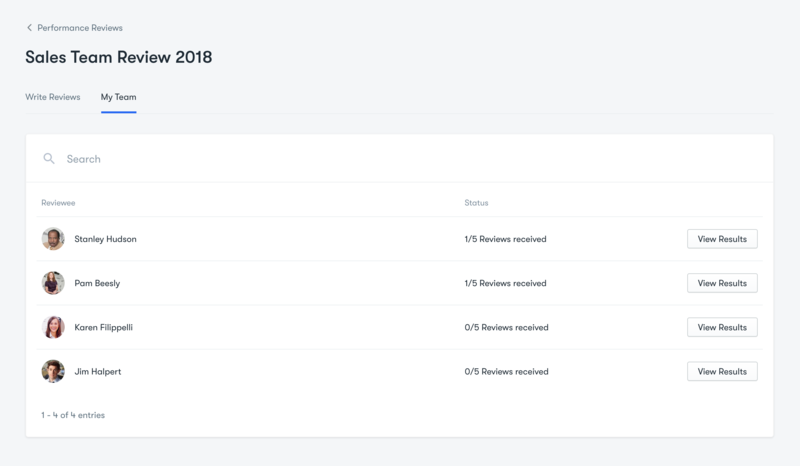 As a manager, they will also be able to access any reviews already submitted before writing their own under the My Team tab. 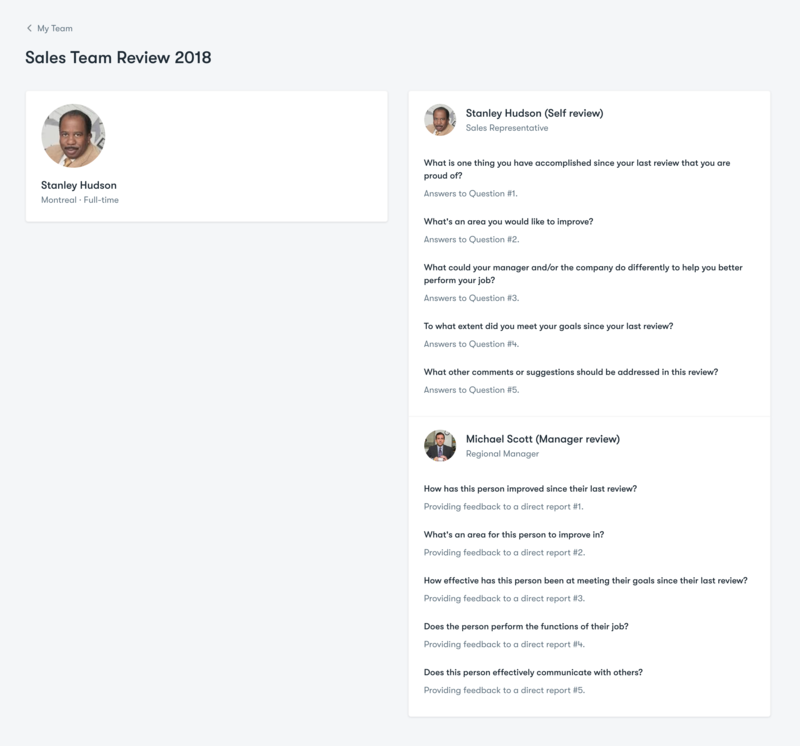 By clicking 'View Results' next to an employee's name, they will see any already submitted reviews together in a list.